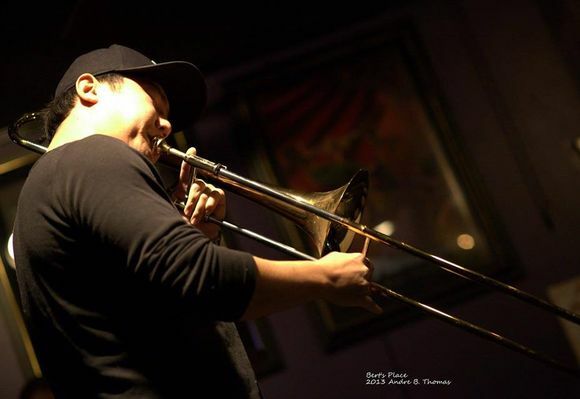 Originally from the Metro Detroit Area, Jimmy O'Connell has quickly established himself as an in demand trombone player on the NYC jazz scene. Relocated to New York in 2009, O'Connell pursued and attained a Master's Degree from the Manhattan School of Music, and has been performing all around NYC and the tri-state area ever since. He has performed at some of NYC's premiere venues such as Smalls, The Blue Note, Fat Cat, Carnegie Hall, and many others as both a leader and a sideman. He has shared the stage with some of the greatest living jazz musicians like Dave Liebman, Joe Lovano, Paquito D'Rivera, Randy Brecker and many more. Currently in production of his debut album "Arrhythmia", O'Connell leads his own sextet and they perform original music all over the city. "Arrhythmia" is set to be released in September of this year (2016) and will be released on Outside In Music. O'Connell is endorsed by B.A.C. Musical Instruments and plays a B.A.C. modified Edwards T302 trombonem with an Elliot Mason signature handslide.